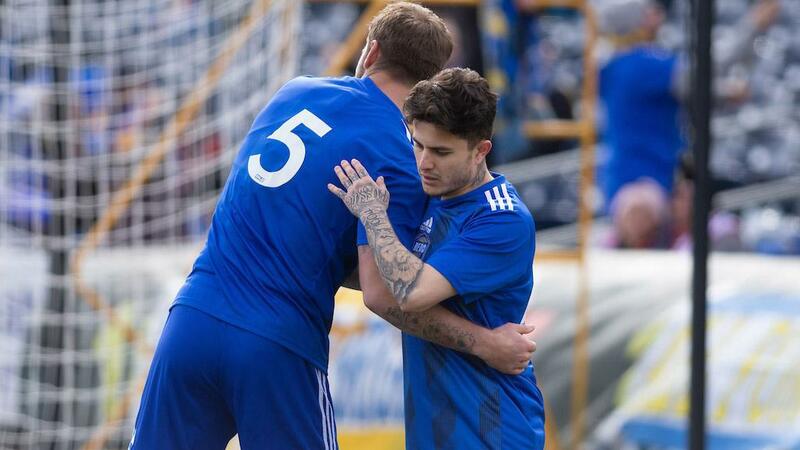 RENO, Nev. – Danny Musovski had a goal and assist, while Brian Brown had two helpers as Reno 1868 FC started its preseason in fine style as it took a 3-0 win against the San Jose Earthquakes on Saturday afternoon at Greater Nevada Field. The victory was Reno’s first against the Quakes, its MLS partner. Reno opened the scoring in just the fourth minute when offseason arrival Raúl Mendiola quickly made his mark. Picking up a pass from Brown as he moved into the right side of the penalty area, Mendiola beat a pair of defenders before rifling home his finish for a debut goal. WATCH | Goal by Mendiola! Reno then twice caught San Jose in transition to add to its lead, with the first goal coming in the 29th minute from midfielder Seth Casiple. After picking up possession on the left side, Musovski picked out a perfectly-angled pass for the onrushing Casiple to put home a first-time finish into the left side of the net that left Quakes goalkeeper Daniel Vega with little chance. Four minutes before halftime Musovski got a goal of his own as Brown beat his man in the right channel, drawing Vega off his line. The Jamaican forward calmly laid the ball off to the supporting Musovski for a simple first-time finish past a trailing defender an into the net. Reno could have added to its lead early in the second half when Tyler Collishaw was fouled just inside the penalty area, but Collishaw sent his spot kick wide of the mark. The miss didn’t end up mattering much, though, as Reno held its lead throughout the second half with goalkeepers Matt Bersano and J.T. Marcinkowski combining to hold the visitors scoreless. After a good start to its preseason, 1868 FC Head Coach Ian Russell was pleased with his side’s display, but also had some sympathy for the Quakes after their arrival from a tough training camp in Mexico the previous night.